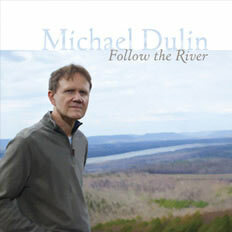 Follow the River by pianist/composer Michael Dulin, is simply extraordinary. It isn t just heard; it is experienced. From the surging title track to the toe-tapping finale, Dulin takes you on an adventure of the heart that you will not soon forget. Coming in at over 59 minutes of luscious music, with an outstanding selection of up-tempo tracks, we just call Follow the River longer and stronger Michael Dulin! Dulin s composing and pianistic skills, which have always been formidable, continue to get better and better. Follow the River is by far his best CD, and is a real tour de force that will captivate you with his musical wizardry. Standout tracks? All 13 tracks are perfectly wonderful. There is no filler here. If I had to choose my absolute favorites…Follow the River, Chasing the Wind, Nimrod, and Promised Land are all up tunes that sweep you along in a current of excitement. Siren Song spins a continuous melody into a silky and sensuous web that captures both your soul and your imagination. Beautiful and poetic are Letter from Home, A Mother s Love, and Family Bible. Heartache can be deeply felt in Farewell, and Regret is the perfect embodiment of a feeling that we all know too well. April Showers skips innocently along until exuberance breaks out at the end, and Gone Fishin brings the whole album to a rousing conclusion. Follow the River is Michael Dulin, for sure, but with more drama, more energy, and more emotional depth than ever. A real winner!